Project Ara is Google's Modular Phone System. The purpose of Project Ara is to create a modular smartphone that would allow users to swap hardware components according to their own wish. It will help the users to create their own phone by choosing the modules of their choice. I came to know about Project Ara when Motorola announced about it on October 2013. I created this video to give news about Project Ara on that day. From the comments made for this video, I came to know that the modular phone concept was already popular among many people as the Dave Hakkens's Phonebloks video went viral. 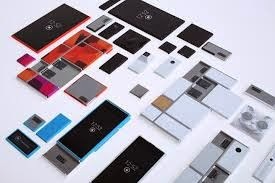 From that day onwards, I am continuously looking for the news/details about modular phone system especially about Project Ara, and published various news articles about project ara. And, I have created a facebook group to discuss about project ara as I found that many people are actively participating in the discussion about project ara by making comments in this video. Today (January 14, 2015) Google is conducting second project ara Developers conference. You can watch the live steam here. Google is broadcasting live from Mountain View, CA on January 14, 2015 beginning at 8:00AM PST. If you are not having enough patience to watch the entire event, you can subscribe to our channel to see the highlights of this event later. The ara platform will include a structural frame/endoskeleton that holds smartphone modules of the owner's choice, such as a display, camera or an extra battery. It would allow users to swap out malfunctioning modules or upgrade individual modules as innovations emerge, providing longer lifetime cycles for the handset, and potentially reducing electronic waste. Google says the phone is designed to be used by "six billion people", including the one billion smartphone users and the five billion feature phone users. Watch the below videos to know more details about Project Ara. Since I am continuously monitoring new details about Project Ara, I think my understanding about the growth of project ara will be correct to some extent. I am listing my understandings about Google project ara. - Lot of people (mostly developers) are showing interest to know about Modular phone system. But many of them think that effective modular phone system is NOT feasible. - Developers believe that Google can make the project ara successful. So, they are showing very much interest in attending dev conference, getting ara dev boards, and discussing about project ara in various social media sites and forums. Even some big companies are showing interest to develop modules for project ara as they believe they can target their modules to billions of people once project ara getting popular. - As of now competition for Project ara is very low. Few companies such as vsenn and Puzzlephone are trying modular phone system in very limited ways. - Right now, Common people are not showing much interest to know/discuss about project ara. They may show interest once Google starts promoting Project Ara. - Hardware industry also started taking steps to produce hardware supporting project ara. - When Modular phone system was just a concept, many people thought it is NOT possible to have modular phone. But they gained some confidence after Google started taking solid steps to bring it as reality, especially when it showed the prototype at Google I/O. - Many people prefer to buy new set of phone than replacing the repaired parts. That kind of people are not showing interest for project ara. - Release date for project ara is getting delayed.